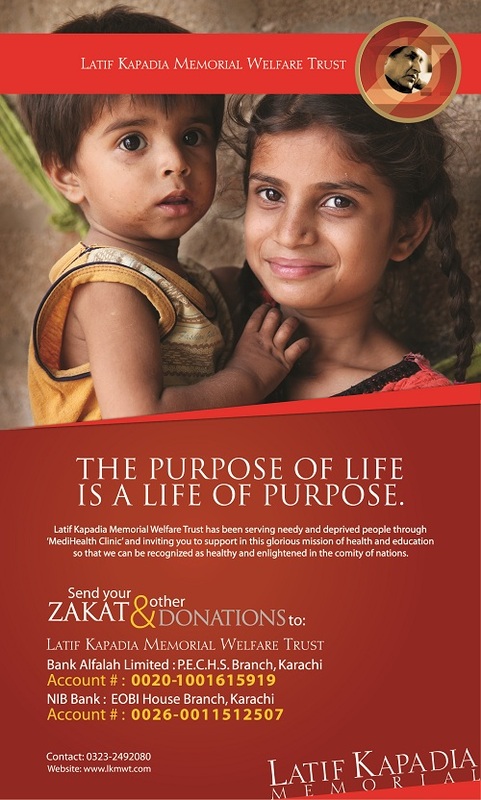 Serving deprived families in the underdeveloped localities in Karachi and its suburbs since 2007, LKMWT operates through two fully equipped out-patient-dispensaries in Shah Faisal Colony and Khokhrapar (Malir). We also hold free medical camps for different diseases in the interior Sindh on regular basis. As a CSR wing of Synergy Group, LKMWT sponsors all the projects but tasks are gigantic and we need others’ support as well. 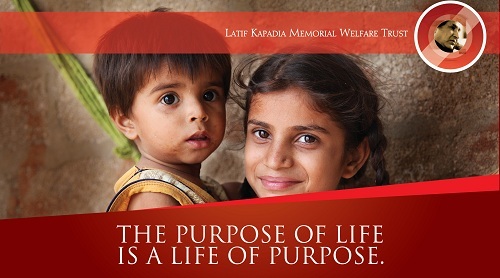 In this Ramadan, LKMWT has launched a fund raising campaign titled ‘The purpose of life is a life of purpose’ in national and social media so that mission continues effectively and extensively. For the visitors, the same campaign is attached herewith. Click the visuals and enlarge the image to read the message. Visitors can also download the detailed brochure to know all about LKMWT. Your site’s graphics looks bad. You schould change it.